Volunteer project: Coorg or Kodagu (originally called Kodaimalenadu) means “dense forest on a steep hill”. It is a rural district located near the city of Mysore (Karnataka State) amongst scenery of misty hills, lush forests, acres and acres of tea, coffee and spice plantations, orange groves, undulating streets and breathtaking views. 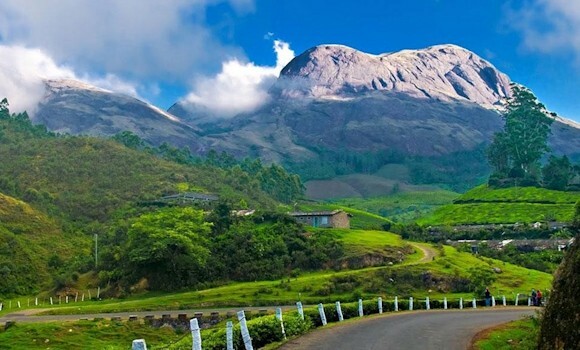 This is one of the most beautiful places in India, completely surrounded by nature! Due to the heavy rainfall in Coorg last year, the devastation to the landscape, homes and lifestyle of the local people was tremendous. The project focuses on rehabilitation of the land of the Kodava people. The activities planned along with local environmental organisations will help avoid landslides and ensure reforestation as well as environmental protection. In addition, the volunteers will work with different local organisations to spread health and hygiene awareness among the tribal villages. This project also involves assisting various underprivileged schools by teaching Basic English and Mathematics, Health and Hygiene, renovation work like building playgrounds and visiting the nearby Tibetan settlement, farms and estates. The international volunteers will interact with local farmers to learn about the environmental issues in the region, and will help with tree planting and raising environmental awareness. They will also work in the fields, pruning, harvesting and drying on various farms. The group will visit other model farms around the campsite to study and understand the methods and techniques of farming. The volunteers will also visit coffee estates and will learn about other popular plantations of the region such as pepper, cardamom and wild fruits. The volunteers will support local schools with some renovation and work with the kids. The tasks include wall painting, drawing educational murals, construction, teaching basic English, spreading health and hygiene awareness among the children of the tribal community. Leisure activities: The volunteers will get a chance to explore Tibetan culture and the different issues related to the exile of its people and the re-settlement in the region. There will be cultural activities and exchange with Tibetan youth with the support of the Tibetan Welfare Office. 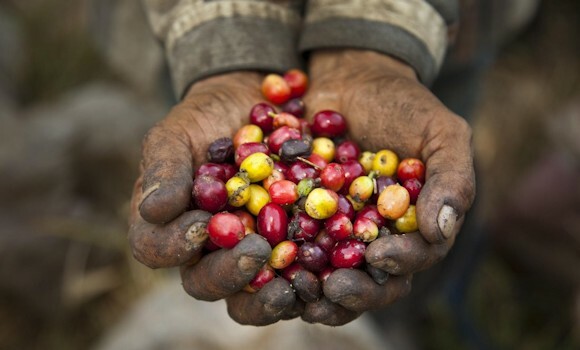 Participants will also have the opportunity to interact with coffee estate workers and tribal people, and to learn about their lifestyle and livelihood. Accommodation: In a guest house or hostel with shared rooms. Location: The project takes place in a village located in the district of Coorg, 120 km west of Mysore. The nearest airport is Bangalore international airport. The nearest railway station is Mysore. There is bus service from Bangalore and Mysore. Volunteer project: Valleys of the Himalayas - This small paradise on earth is home to His Holiness the 14th Dalai Lama and to a significant Tibetan settlement in India. Dharamshala is set in the backdrop of the snow-clad peaks of Dhaulathar Mountains. It is the capital of the Tibetan Government-in-exile and the residence of the Dalai Lama. The project aims to provide sanitation facilities and a safety wall for a local school and a cleaner environment for the community which is being affected by tourist influx and lack of waste management and watershed management systems. The project also wants to create awareness on the Tibetan migrants and their culture. We have been conducting international volunteer projects in McLeod Ganj, Dharamsala for the last 11 years with the purpose of bringing a sustainable model for development of the region in partnership with school management committees, the Tibetan Welfare Office and the local municipality. The volunteers will work on the renovation of school buildings and walls, wall painting, educational murals, teaching basic English to children. There will be also cleanup activities in the area of the waterfalls, creating awareness among the community and tourists to support responsible tourism, Health and Hygiene awareness and tree planting to avoid landslides. 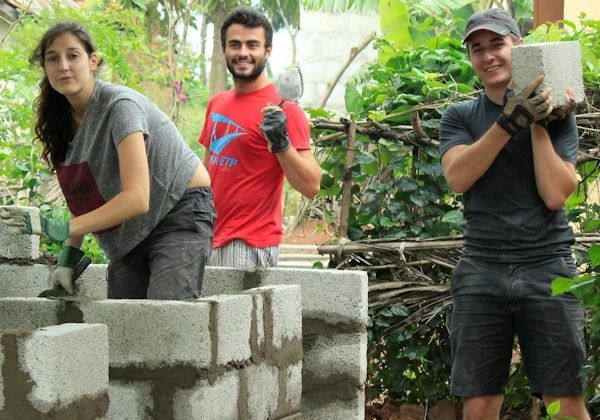 Through their work in the community, the volunteers will promote eco-friendly practices. 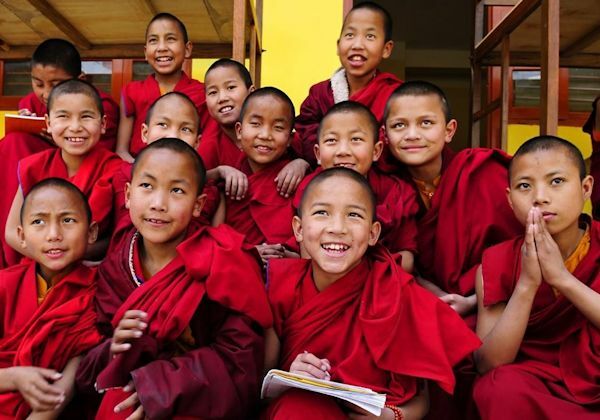 Leisure activities: During the project, the volunteers will get the opportunity to learn about the Tibetan culture and the different issues related to the exile of its people and their re-settlement in India. There will be cultural activities, visits to important cultural sites and various Tibetan institutes, meetings with Tibetan monks and the local community. During the first week of the project, the volunteers will participate in Yoga classes with a professional instructor. After the end of the second week, the volunteers can take part in an optional 4-day trekking activity around the mountains of Dharamsala and Triund. 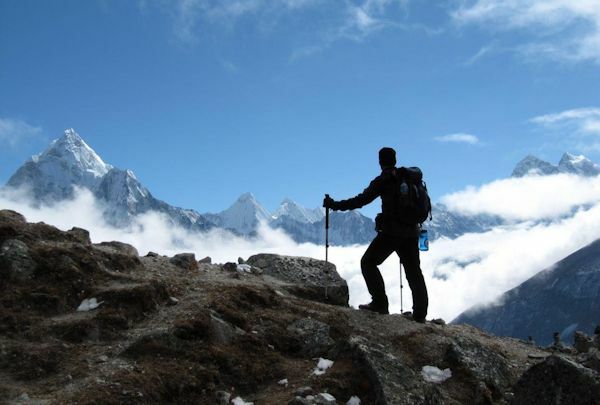 The cost of the trekking is 3,000 Indian Rupees (about $42 US) per person. Accommodation: In a guest house, in shared rooms. Location: McLeod Ganj is a suburb of Dharamshala in Kangra district. Dharamshala is located in the state of Himachal Pradesh, North India, 500 kilometers from Delhi. Dharamshala is accessible by bus on a daily basis from New Delhi and other smaller cities of North India. The nearest railway stations are Pathankot and Kangra Mandir. Delhi is the nearest international airport. 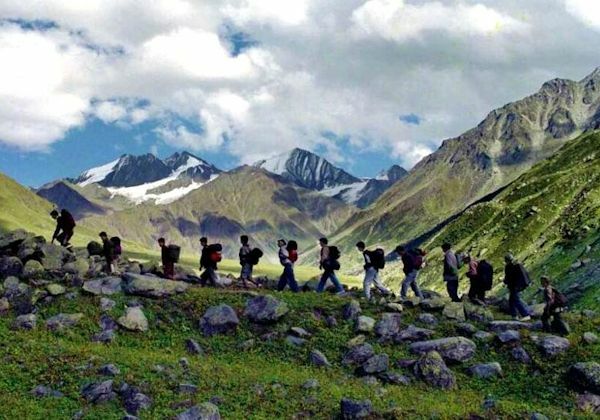 Volunteer project: The Great Himalayan National Park is located in the western part of the Himalayan Mountains in the northern Indian state of Himachal Pradesh. The park was established in 1984 and is spread over an area of 1,171 km2 at an altitude of between 1500 and 6000 m. It is characterized by high alpine peaks, alpine meadows and riverine forests. The park includes the upper mountain glacial and snow meltwater sources of several rivers, and the catchments of water supplies that are vital to millions of downstream users. It is a habitat to numerous flora and more than 375 fauna species. In 2014, the Great Himalayan National Park was added to the UNESCO list of World Heritage Sites. The Great Himalayan National Park Conservation Area protects the monsoon-affected forests and alpine meadows of the Himalayan front ranges. 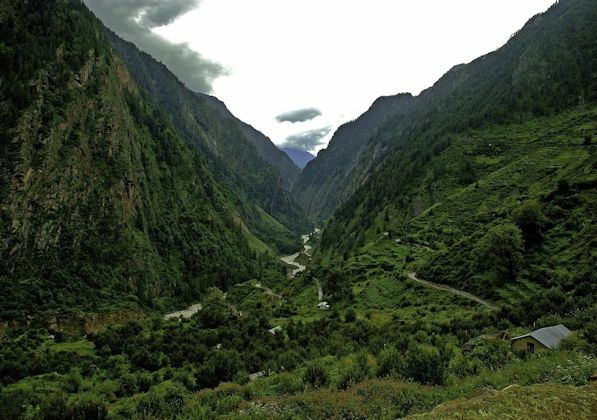 It is part of the Himalaya biodiversity hotspot and includes twenty-five forest types along with a rich assemblage of fauna species, several of which are threatened by extinction. This gives the site outstanding significance for biodiversity conservation. The project will focus on conserving the biodiversity of the Great Himalayan National Park. It will be implemented in cooperation with UNESCO World Heritage Centre, the Archaeological Society of India and the Great Himalayan National Park. The volunteers will participate in activities that contribute towards the biodiversity conservation of this beautiful park, awareness creation on waste management for tourists and locals, and cleanup of scenic spots and waterfalls. International volunteers along with local organisations, community and school children will all be part of this adventure for nature lovers. The volunteers will be in contact with conservancy and park officials and will attend learning sessions with them. Volunteers' main duties involve biodiversity conservation, tree planting, awareness rally on conserving natural resources and the environment, conservation education in schools in buffer villages, creating educational murals to promote biodiversity, teaching basic English and playing games with the children. Leisure activities: Visits to different bird sanctuaries, tribal villages and cattle farms. Interaction with the local community on development issues. Accommodation: In a guest house or hostel, in shared rooms. Location: Sai Ropa, in Kullu region in the state of Himachal Pradesh, North India, 500 km north-west of Delhi. The nearest international airport is Delhi. The nearest railway station is Chandigarh. Buses travel from New Delhi and other smaller cities of North India. Volunteer project: Jaipur, the fascinating capital of the marvelous state of Rajasthan, is one of the best planned cities of its time. 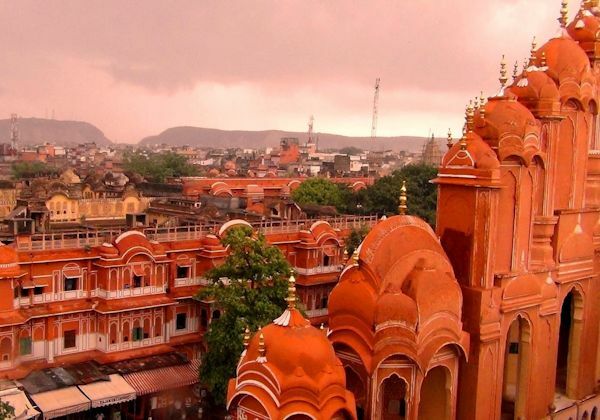 The graceful architecture of the city, all in the colour pink, has earned Jaipur the title of "The Pink City". Jaipur is predominantly known for its musicians, artisans and craftsmen. Today, tourists flock to the city attracted by its fine jewelry, varied textiles and sumptuous cuisine. The aim of the volunteer project is to create awareness on environmental issues affecting this city, to create better learning facilities for school kids, and to provide community service to slum dwellers and poor children. The project involves teaching basic English to children from poor and marginalized communities in non-formal schools through creative teaching methods like art, music, games, etc. The volunteers will undertake simple renovation work to improve school infrastructure including renovation of a school kitchen, wall painting and making a kitchen garden. The group will hold meetings with the local community to promote health, hygiene, and awareness on environmental issues. Volunteers will also plant trees along with community members. Leisure activities: Visits to cultural, historic and religious sites; Cultural exchange with the community; Interaction with children from the slums. Location: Jaipur is located 268 km south of Delhi, the national capital, and is well connected to other parts of the country through air, rail and road. Jaipur International Airport is located 13 km from Jaipur. Jaipur is well connected by bus and trains to most of the major cities in India. Regular buses are available from Delhi and other cities in North India. Volunteer project: Jodhpur is a popular tourist destination featuring many palaces, forts and temples. The city is known as the "Sun City" for the bright sunny weather it enjoys throughout the year. 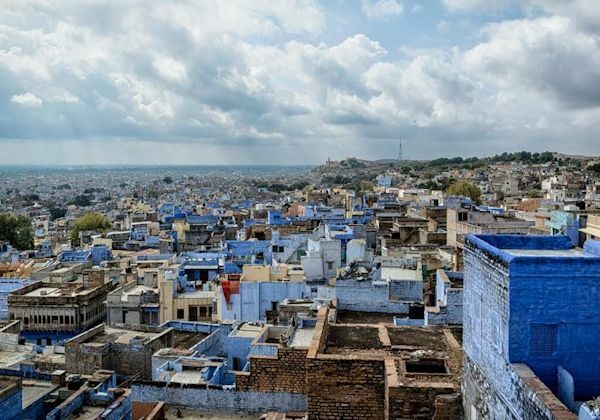 It is also referred to as the "Blue City" due to the indigo tinge of the whitewashed houses around the Mehrangarh Fort. Culture and lifestyle in Jodhpur is quite fascinating. Lending a romantic aura to Jodhpur, are its exquisite handicrafts, folk dances, folk music and the brightly attired people. The focus of this project is to spread awareness on environmental issues, health and hygiene among children and the community, and to introduce the school children to creative learning methods. The volunteers will organise meetings and activities with the local community to promote health and hygiene, and raise awareness on environmental issues. They will help the community with tree planting. In the project, the volunteers will also teach basic English to children in non-formal schools through creative teaching methods like art, music, games, etc. The team will help improve the school environment by painting walls, drawing educational murals and creating a kitchen garden. Leisure activities: Visits to cultural, historic and religious sites; Cultural exchange with the community; Interaction with slum kids. Accommodation: In a guesthouse or hostel, in shared rooms. Location: Jodhpur is located in the state of Rajasthan, 560 km south west of Delhi, and is accessible by domestic airlines. Jodhpur is connected by air to major airports in Delhi, Mumbai, Jaipur, Udaipur. The airport is about 5 km from the city center. Trains and buses operate on a daily basis from New Delhi and Mumbai.